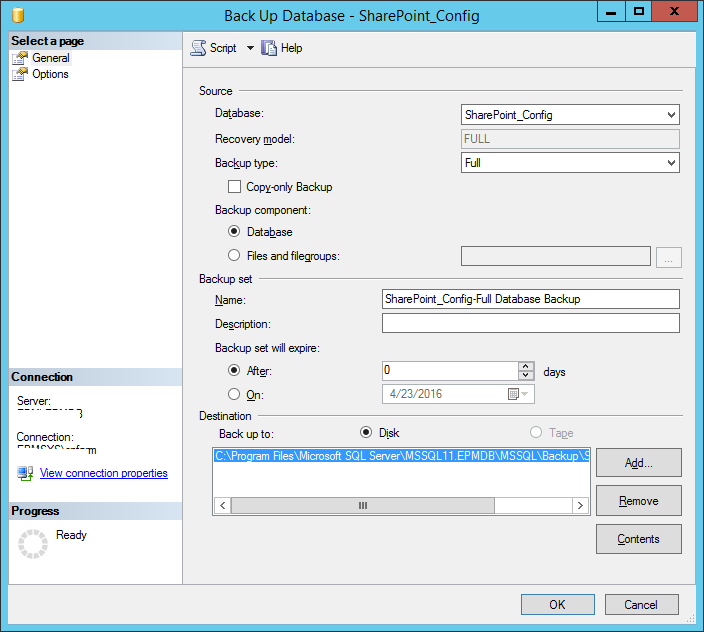 Click on “Add…” to add a backup file and type “C:\SharePoint_Config.Bak” and click “OK”. When I clicked OK. I got the this error. But unfortunately, I got the same error result. This error occurs because of performing a log backup before performing a full database backup as a mandatory prerequisite for performing a log backup operation. 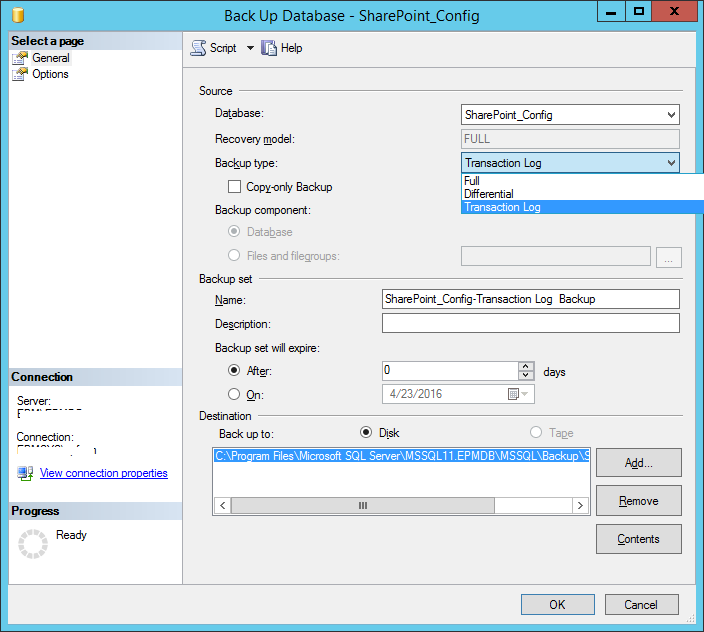 I will apply a bundle command to take a full database backup and log backup at once. Again, Right-click on the database name.